Which one should you buy: the $750 iPhone XR or the $1,000+ iPhone XS? 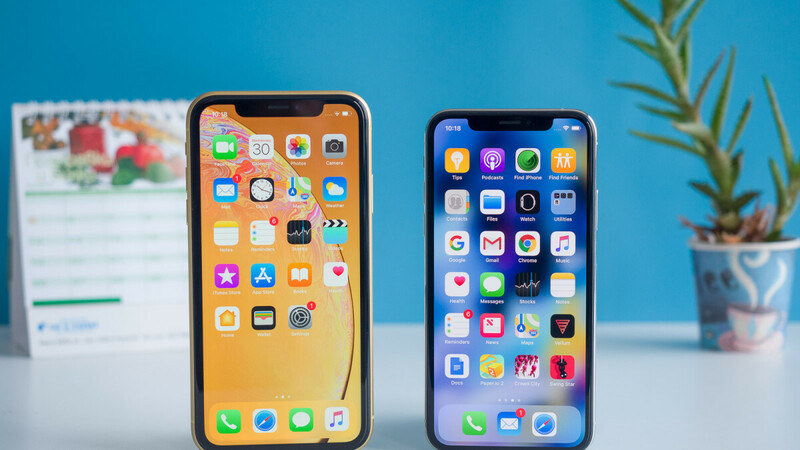 We take a closer look at two of the hottest iPhones out there a few months after their release, when we've had time to actually use them and get a full understanding of the differences, as well as the advantages and disadvantages that each model has. Let's break down the major differences right here, before looking in the details. Those major differences are the screen, OLED vs LCD, which is the big one, then, the lower resolution of the XR display, the larger bezels, the single camera, as well as the differences in design and battery life. All the rest is the same: same iOS, same gestures, same amazingly fast Apple A12 Bionic processor, so those are things that we will skip in this comparison. With this in mind, let's get started! 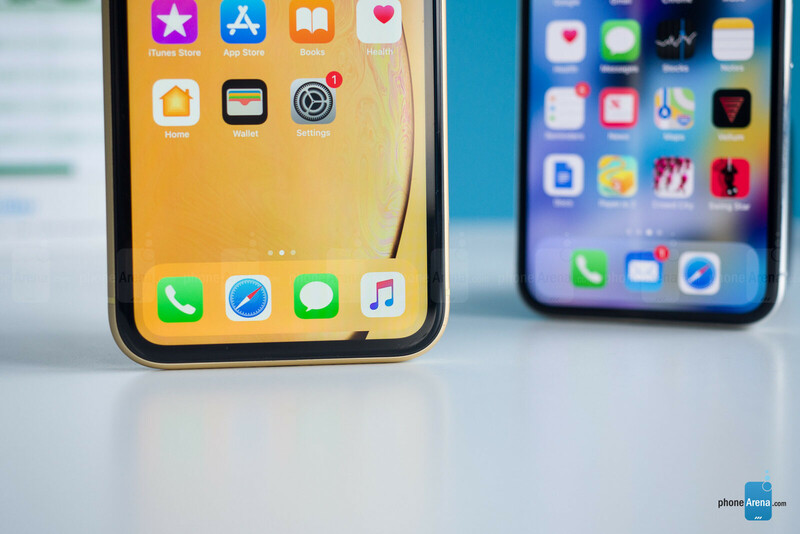 The first thing you notice when comparing the XR against the XS is the pure difference in size: the XR is noticeably bigger, while the XS is definitely the device to use if you want a compact phone that you can easily use with one hand. Consider that most of you will also put a case on top, which would make the XR even bigger and it's the width that is more worrisome as this phone is as tall as other max-sized phones out there. We should also note that the XR is also a bit thicker than the XS, something to consider for those who appreciate more compact phones. And then come the colors: we love the vibrant, energetic colors that the XR comes in. They are truly a breath of fresh air in a world of black and gray phones out there. 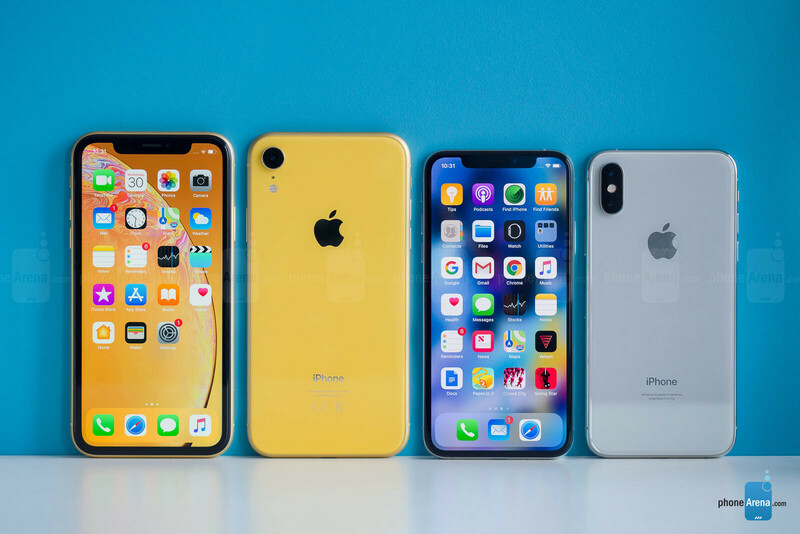 The XR comes in a selection of six colors in total, a red, coral, blue, yellow, white and black, while the XS is available in silver, gold and space gray. The other thing that comes out as different is the side of the phone. The frame in the XR is made of aluminum, with a brushed matte look, while the XS features a shiny stainless steel frame. 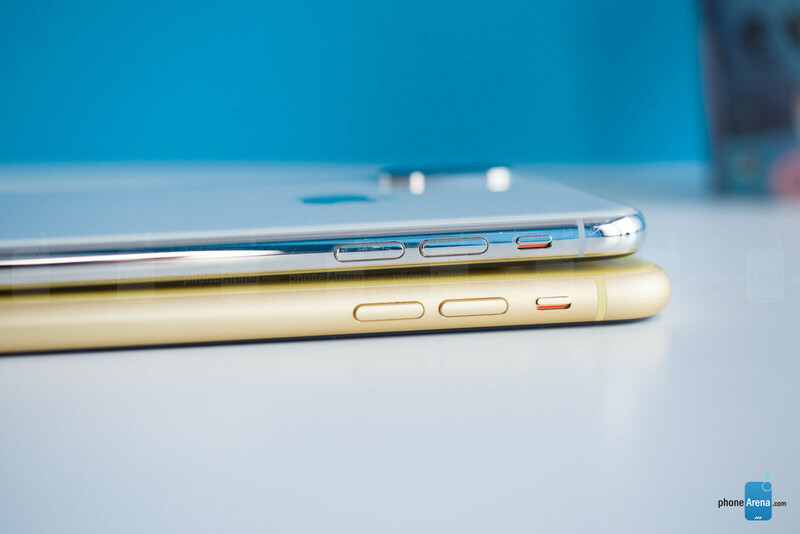 The shiny sides on the XS look glitzy, but you will probably never notice if you put the phone in a case. 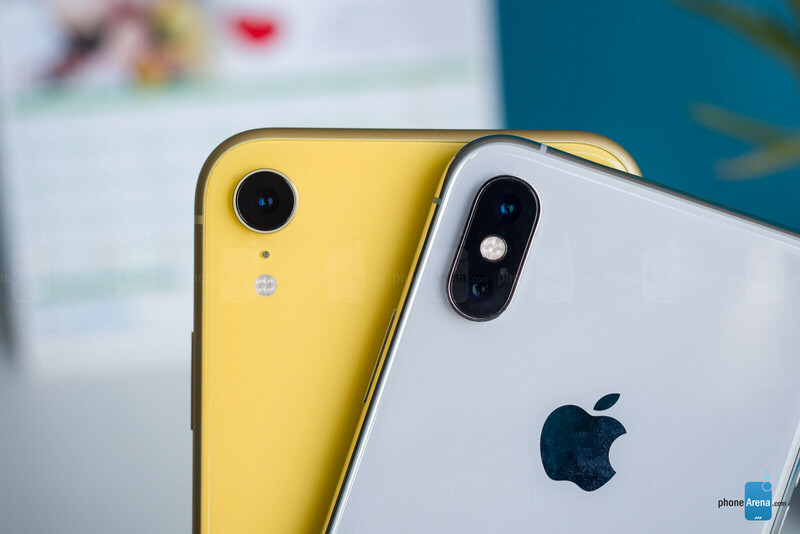 You can use the fancy names that Apple likes to attach to its gadgets, things like Liquid Retina on the XR and Super Retina on the XS, but of course that does more to confuse rather than provide meaningful information to those looking to find it. So here is what the difference in display technology is between the XS and the XR: the XS uses an OLED display, while the XR features an LCD screen. 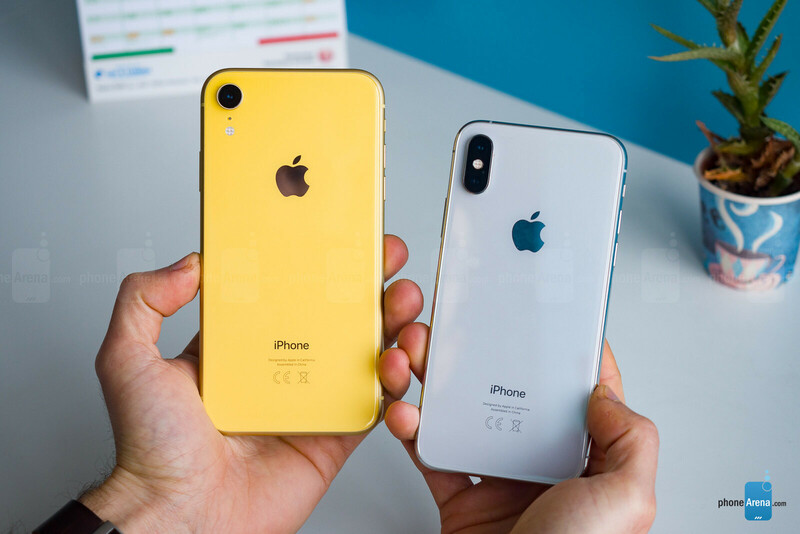 And yes, you can say that both look very good, but once you actually take them side by side and look at those screens, it's immediately obvious that the LCD screen on the XR looks nowhere nearly as vibrant and lively as the XS. And it's not as much about the resolution as it is about the saturation of the colors that appear much more impressive on the XS. It is a noticeable difference! There is one more thing to note here: the bezel size on the XR! Sure, you get used to it after a while, but when you compare it against the XS... it's noticeable. To be perfectly exact, you have a 5.1mm bezel on the XR, vs a 4.0mm bezel on the XS and XS Max, so the bezel on the XR is 27.5% larger. The story goes that since the Apple chose to use an LCD screen for the XR, it could not trim down the bezels to achieve a look with no "chin" bezel, so it went with this look. Many other phones these days come with LCD screens and much thinner and more elegant bezels, with only a very tiny chin, so the big bezels are definitely one thing that makes the XR look a bit... well, compromised. Does the extra 1GB RAM on the XS make a difference? There is one small difference in the hardware under the hood of these two phones and it's the amount of RAM they come with. The XR features 3GB of RAM, while the XS has 4GB. So does the extra 1 gig make a difference? The overwhelming majority of users will never notice this. The only time you can see this is when you are multitasking and switching between many different apps. Then, you would see that apps have to reload more often on the XR, but since the A12 processor is so fast with loading, that's barely even noticeable. The iPhone XR and XS have the same main camera on their back, which means there is no difference in the photos or videos. It's the same 12-megapixel camera with support for Smart HDR and up 4K60 video recordings. What the XS has is a secondary telephoto camera that you can use to squeeze more detail out of pictures when you zoom in two times, and it's also the camera used for portrait mode shots on the XS. The XR, on the other hand, relies on the main shooter, which has a much faster aperture and it consistently shoots much brighter pictures. And at night this often means that you simply cannot get a usable portrait shot on the XS, while the XR captures a photo that you can actually share with friends, plus it was also easier to focus with the XR. When Apple unveiled the iPhone XR it mentioned that it has the best battery life of any iPhone, and our tests confirm that. The iPhone XR has a 2942 mAh battery, just slightly larger than the 2659 mAh battery cell on the iPhone XS, but in reality the difference is bigger. 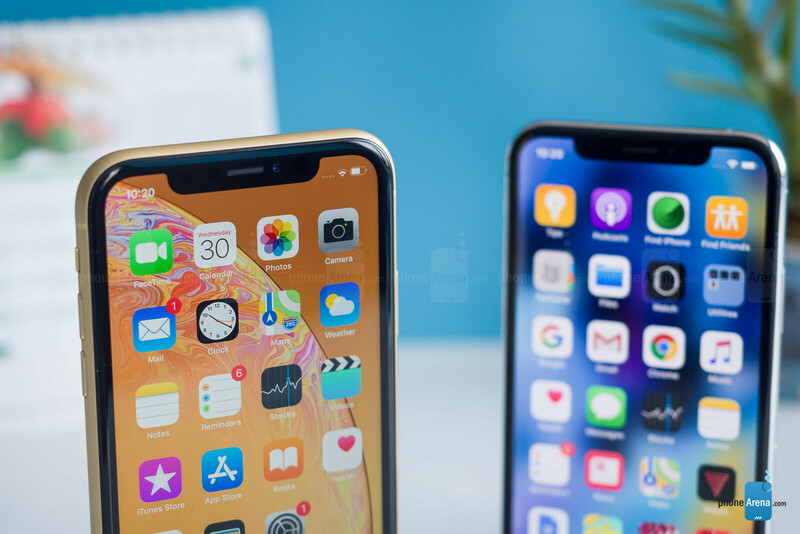 It is probably the lower screen resolution that is less taxing on the processor coupled with the larger battery size that allows us to get nearly two days off the charger on the iPhone XR quite often, while on the iPhone XS daily charges are a must. Both phones also support wireless charging, which is a nice extra. What we are not that happy about is that you don't get a fast charger in the box with either phone, and that's just shameful for premium devices that cost so much. In the charts below you can see that it takes more than three hours to charge the battery on both these phone from 0 to 100% using the charger provided in the box. These charging times are much faster if you use a fast charger like the one that comes with an iPad, Macbook, or a third-party one. So... should you spend $250 extra and get the iPhone XS? For most people the answer to that question is 'no'. The XR is just as fast, has the same camera and actually takes better portraits at night, its battery lasts a bit longer, and it's a phone that will serve you well for years. What the XS brings to the table is mostly a more refined design and that OLED screen with its more lively colors that add a bit of extra flare to everything on the screen. With the XR you get a bigger screen although not OLED still looks good enough for most. The XS is thinner with thinner bezels, 3d touch (who cares) and portrait mode is better on the XS. All that being said I would buy the XR over the XS for the bigger screen and longer battery life and save the $250. Portrait mode is better on XR because it shoot from main camera. Great comparison. The answer is no for me as well. Not worth the difference. If you want the same form factor as the XS, just get a X. The differences between the X and XS really aren't that massive. Xs Looks better. I'd rather get that for myself. There is precious little as important to me as battery life, so the XR would be a no brainer for me if I were in the market for a current gen iPhone. IMO iPhone 8 was the last one worth buying. Taking away the fingerprint scanner to push face ID is why I would never buy it. I can live with the gesture interface but give me the fingerprint scanner option. No phone shouldn’t cost $1000. It basically make phone call and surf the web, laptop is way way way way much more productive. Did i mention too many way? Yeah, all iPhone models are good enough, but are too expensive. Do you have enough money? Buy iPhone XS Max, great device. Do you wanna spend less? Buy iPhone XS, great device. Do you have less money? Buy iPhone XR, great device with a single, but very reliable camera and big battery. Do no you have enough money? Buy iPhone X, still one of the best smartphones. Do not you wanna spend extra money for iPhones? Buy Xiaomi Mi 8, great device even though it is an Android smartphone, it's design is similar, almost the same with iPhone X, iPhone XS and iPhone XS Max. I personally chose the iPhone X over the XR just for the better screen and small size. I don't like big phones and the speed difference is not that much to make a big deal. So, if you want the newest iPhone's form factor but don't want to spend an eye getting the latest and greatest, get the X and you will still get a good phone for 3 more years. Both are excellent phones, but I'm already buying a red 128GB XR! Awesome device, indeed. No one mentions the difference in WiFi and Network throughput on each phone...like that's not important. Which one plays Candy Crush better? Have had both to test - I didn't notice much of a difference with the camera or processor but absolutely noticed it with the battery. Kept the XS but may very well sell it and switch back.